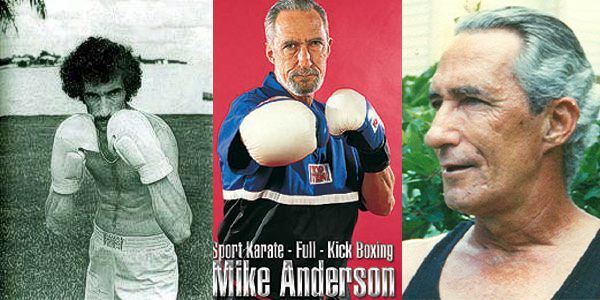 Mike Anderson has become known as the “Father of Sport Karate and Kickboxing”. He is one of the foremost authorities on competitive combat sports, both in the U.S. and internationally. 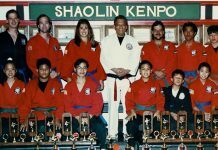 Mike trained in the Jhoon Rhee system of tae kwon do under Allen Steen and taught karate in Europe where he also competed. He won the All European Open Karate Tournament four times and the U.S. Armed Forces Karate Championships twice. 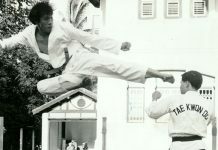 As an instructor in Europe, Anderson was awarded a gold medal by President Park Chung Hee of South Korea for his efforts in spreading tae kwon do throughout Europe. 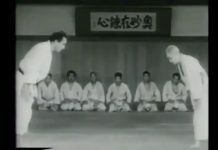 Mike returned to America in 1969 and continued to teach and compete and he always placing high. 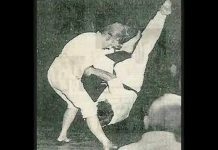 Between 1970 and 1973 he used his skills to train several teams who went on to win national titles. Mike created an event called the Top 10 Nationals in 1971 by 1973 through 1976 was one of the three major elimination tournaments in America. He was the first tournament promoter to use Jhoon Rhee’s foam hand and foot gear which is still used as standard gear today for semicontact competition. Mike Anderson and Don and Judy Quine of the PKA co-produced the World Professional Karate Championships in Los Angeles, California which began full-contact karate competition. This event was televised on ABC’s Wide World of Entertainment. 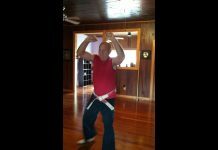 It was Mike Anderson who created the original rules for the sports of Point Karate and modern Full Contact Karate/ Kickboxing, and the rules for continuous sparring and musical and creative forms competition. He started the Professional Karate Association in 1972 and built kickboxing into the number one spectator sport of the 1970’s and he was instrumental in building the worldwide kickboxing movement. 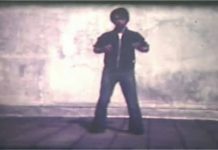 In 1972 he began publishing Professional Karate Magazine. In 1973 he founded the Professional Karate Referee’s Association as he was an active official in major events throughot the world. Mike has produced and/or directed over 100 major events in arenas on 4 continents and in 25 countries. He is the most prolific promoter in the history of the martial arts. Mike is multi-lingual and has produced or directed these events as well as serving as the television announcer. Mike Anderson and Bob Wall teamed as the announcers for “The Thrilla in Manilla”, boxing event between Muhammed Ali and Joe Frazier. This was the first event to be televised by satellite throughout the world. The show went live to over 2 billion people. Mike also opened “Thrilla” from Washington, D.C. where World Champion Jeff Smith defended his title by overwhelming Don King’s and associates Kariem Allah. Anderson lives on the West Coast of Florida with his wife of 42 years, former German professional figure skater, Alice Melzer Anderson. He was the publisher and editor-in-chief of the world’s largest martial arts magazine MAIN EVENT with distribution in over 150 countries.